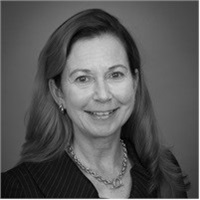 Kim Welch has over 25 years of experience in the insurance and financial services industry helping individual and business owner clients mitigate financial risks, create and sustain legacy assets and complete tax effective estate plans that aim to protect client’s families and businesses. Previously in her career Kim was Vice President with AXA Equitable and National Sales Manager for MassMutual Financial Group. She has spoken at industry events focusing on financial protection strategies for businesses and families. Financial planning is the backbone of Kim’s approach and many clients elect to complete full financial plans. Retirement planning for the business owner, executive benefits as well as corporate retirement plans are all central to the work that she does. Kim is an Investment Advisor Representative of Park Avenue Securities and brings the full resources of National Financial Network to each of her clients. Kim is an Honors graduate of Brown University and the Graduate School of Credit and Financial Management. Over the last 15 years she has served on philanthropic boards including Phillips Exeter Academy and 10 years on the board of the Connecticut chapter of The Nature Conservancy. Presently she serves as First Vice President of the Waterbury Symphony Orchestra Board of Directors and chairs the Development and Marketing Committee. She also serves on the board of West Hartford Yoga Outreach. Kim is a member of the Northwest Connecticut and New Milford Chambers of Commerce and works from her office in Litchfield, CT. She is an avid equestrian and certified yoga instructor.